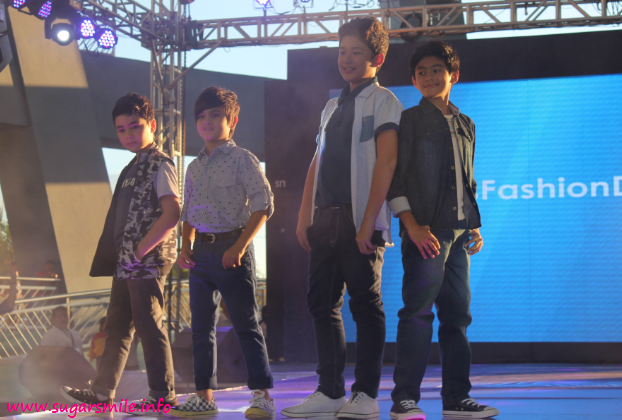 Andrea Brillantes is the TV drama sweetheart who starred in Annaliza, while Gimme5 consists of cuties Joaquin Lucas Reyes, John Immanuel Bernardo, Grae Fernandez, and Brace Henry Arquiza. 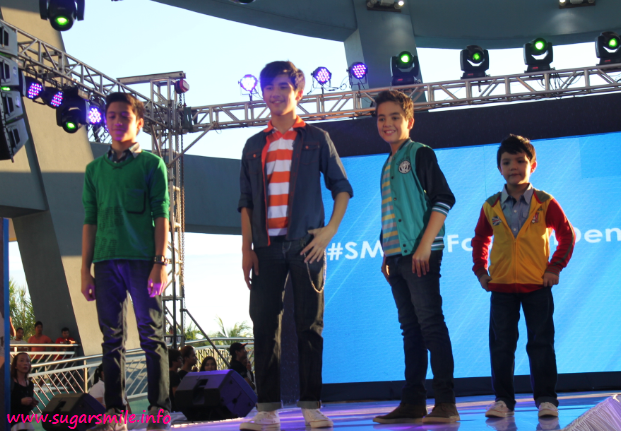 Together, the stars danced, posed, and had tons of fun in their SM Kids’ Fashion Denim outfits. The young stars were all eager to discover the latest from a brand they have known and loved. Dark denim is perfect for capturing a fun, rock star vibe. Boys can pair it with a colorful statement tee for a more casual look, while girls can kick it up a notch with a pair of patterned socks and sneakers. Evening calls for a little sparkle for girls with a sequined tank top, while boys can opt for a tough leather jacket to add a little edge. Light denim is all about that easygoing, casual mood. Girls can throw on a sleeveless checkered top for a picnic-ready outfit and boys can channel upbeat preppy style with a letterman jacket over a button-down shirt. When day turns to night, guys can go for a more polished party look with a long-sleeved sweater while girls can try a tailored blazer on for size. These tops are ideal for layering or as a statement piece to complete a look. Boys can use them with colored jeans to achieve a Western feel, while girls can put them together with a pair of Bermuda shorts for a day of activity. Used with a flirty skirt, they add to a great dinner outfit for girls, while boys can try layering them over darker tees and jeans for a smart contrast. Soft dresses can turn tough or sweet with the right accessories and attitude. During the day, girls can top denim sundresses off with a white cotton blouse for a trip to the mall. Evenings with mom and dad call for a little more glam with studded belts and some platform kicks. Whether casual or dressy, these bottoms do double style time. Boys can channel a cool regatta vibe with a striped short-sleeved top, while girls can go all breezy with a floral tank or tee. During evenings, girls can try a jacket over a lacy blouse, while boys can go for a tee and sweater combo. 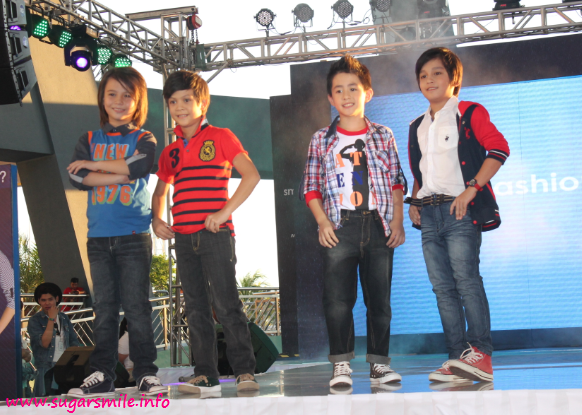 SM Kids' Fashion Denim also has an on-going promo. 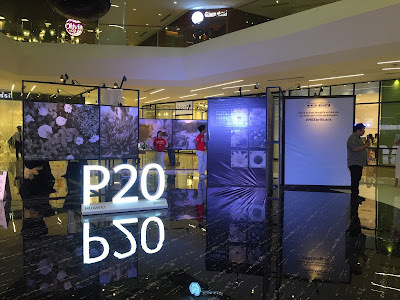 Purchase a minimum of Php1,000 from their brands to create a stand out denim look. Then register at the SM Kids' Fashion Facebook Page, take a picture and upload with the hashtag #SMKidsFashionDenim and #NameofBrand. You can submit the most stylish entry for a chance to win SM Kids' Fashion GCs worth Php2,000, a Fujifilm Instax of a Samsung Galaxy S5! Dress up your kids now and let them be in their most stylish outfit ever! Bring new flavor to their personal style and keep up with the latest trends using SM Kids’ Fashion Denim.